I was mostly all over this back then all the way through the culmination of the impeachment process which saw our Ousted governor removed from office. Blago was replaced by then Lt. Governor Pat Quinn who served from 2009 to 2015 which he was succeeded by Republican Gov. Bruce Rauner. 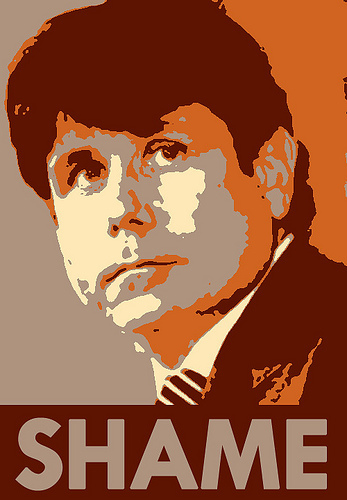 Since the time of Rod Blagojevich it seems no Illinois governor has really inspired strong confidence in state government. It could've been Gov. Quinn but he lost his bid for re-election and according to some analysts I've read didn't give Illinois voters a real reason to vote for him. He had some strong accomplishments such as an increase in the state income tax that proved to be temporary, the abolition of the death penalty, and gay marriage. Otherwise not much other than that. On the other hand his immediate predecessor now a felon for his activities as Governor and serving time in federal custody seems largely forgotten. Other than the crimes he was convicted and his dramatic removal from office. Our current Governor his main accomplishment is holding the state budget hostage in exchange for some needed reforms. I hope someone around him will help him change his strategy so that he can eventually get those needed reforms. And he needs to start his re-election bid soon so a change in course is necessary now. In the meanwhile today, we observe the arrest of former Governor Rod Blagojevich for amongst other charges attempting to put President Barack Obama's old US Senate seat up for sale. It happened 8 years ago today and was noted by Rich Miller who said when the news broke of Rod's arrest his Capitol Fax site crashed from the traffic. It was big news when a Governor of an important state is arrested by any police authorities. FBI, state police, or city police it doesn't matter. Regardless as the pic above indicates this was most certainly a shame.